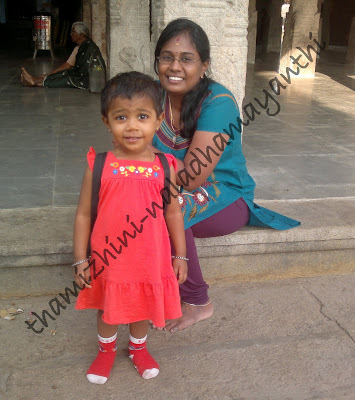 As her Maama also had come to native, Thamizhini was so happy to play with him. He used to play with her very naughtily and makes her to laugh so much. And of course, sometimes he used to make her frighten by showing faces. But, as a growing tot, these days she is not getting frightened! 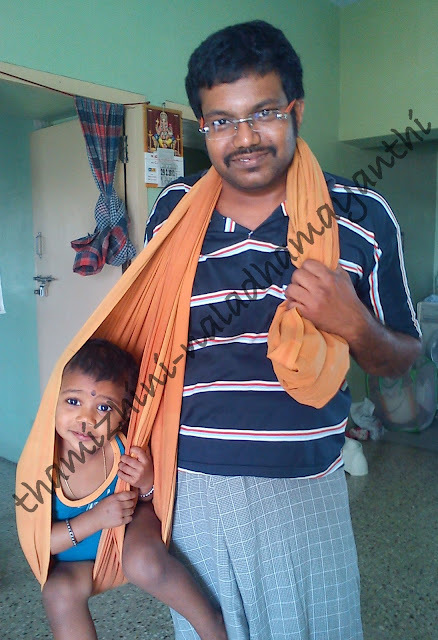 We had been to "Bannari Amman Temple" for our sister's marriage and we clicked some photos there. Check out, Thamizhini is scolding her maama.